For Ron Howard, director of Solo: A Star Wars Story, 1976 was a pivotal year. There are defining moments in our lives where a window briefly opens and new opportunities can either be acted upon or ignored. Careers are made by being at the right place at the right time and acting on instinct. For Ron Howard, a celebrated director with Academy Awards on his mantle and one of the cleanest reputations in the business, 1976 was the year that put him on the path to greatness. The movie that helped him on his way was a silly little Roger Corman car flick called Eat My Dust. We’ve talked a lot about Roger Corman during these pieces on 1976, way more than I planned. This is partly because independent cinema was often just as valid as big studio fare of the day, and some of the biggest money makers of the seventies didn’t come from Warner Brothers or Paramount, but from the indies. Corman is celebrated -- not necessarily for his great taste or discerning storytelling ability, but for his skill at recognizing what was popular in the zeitgeist and then hiring people that could make a profitable movie out of a popular trend. Both his supporters and his detractors will admit that Corman was ultimately about money, but Corman knew that you couldn’t make money with a bad product. That’s why so many great and talented directors and actors came through his low-budget school of hard knocks. Few filmmakers wanted to stay there, but Corman’s umbrella was a great place to cut your teeth and make a movie or two before moving on to bigger things. Enter Ron Howard. Howard’s career in 1976 was the portrait of success. The former child star already had two decades of acting credits to his name, had appeared in the ensemble cast of the breakout hit American Grafitti where he had forged a lasting relationship with that film’s director, George Lucas, and was now headlining a network television hit with TV’s Happy Days. Many actors would have called this success and been content, but Howard saw his future behind the camera. The only question was how to get there. That opportunity came from Roger Corman. Howard and Corman tell two slightly different versions of the events surrounding Eat My Dust. As best as I can discern, Corman had wanted Ron Howard to be in his next car movie, a formula that audiences in the mid-seventies just didn’t seem to tire of, but he didn’t think he’d be able to afford the actor because of his film and TV success. 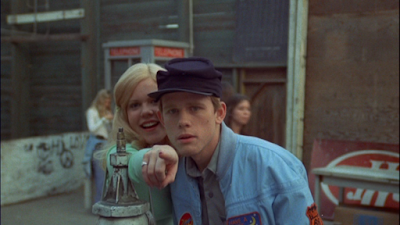 From Ron Howard’s account, he wasn’t really interested in starring in Eat My Dust and told Corman he was tired of acting and wanted to transition into directing; therefore, he would agree to star in the movie for the smaller paycheck Corman could offer, but only if he was allowed to direct a future film. The negotiations that followed have been referred to by Howard as “blackmail,” but eventually the deal was struck. The end result is a fun little movie that doesn’t feel all that different from so many of the other car flicks that were coming out at the same time, but this is not a knock on the film itself. In all honestly, I have a HUGE soft spot for Eat My Dust. Shot in the rural California hills north of Los Angeles, there’s a distinct country flavor that was definitely a hallmark of mid-to-late seventies culture and somehow feels like it was pulled from my early childhood growing up in the south. Ron Howard plays the son of the town’s sheriff, but he feels as stifled by his father’s authority as he does his small way of life. When he tries to impress a pretty blonde girl (played by an actress named Christopher Norris), he ends up stealing a race car and fleeing from the cops. The entire movie consists of the two of them—the redhead and the blonde—speeding around on dirt roads while being chased by redneck police officers. This could have been dull and monotonous, but the writer and director, Charles B. Griffith (or Chuck, as Corman calls him) manages to stage everything so well and with so much good humor and charm that the minutes fly by. 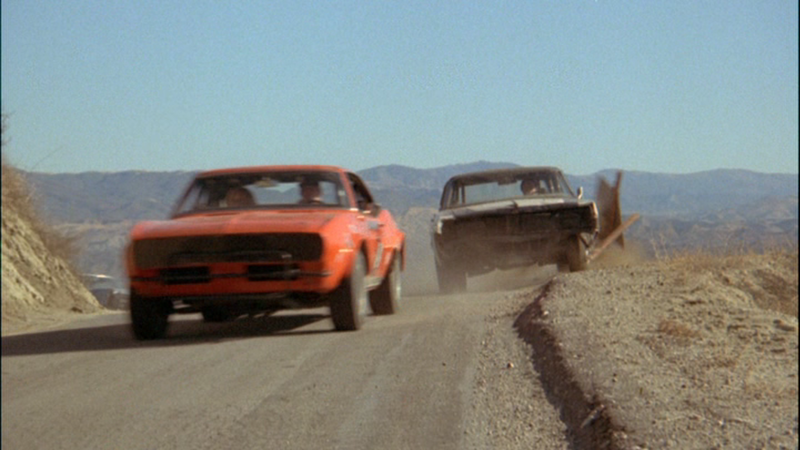 One of the key elements to this film’s success is its car stunts. In an era of CGI, there’s something that feels really special about seeing tons of metal participate in some weird ballet, dancing around each other, narrowly missing people, and flying by the camera at high speeds. Corman and Griffiths also realize the spectacle of the car crash, so they employ this tool multiple times. Consider a shot in the movie where a car goes over a cliff; many movies send cars crashing down from a great height, but the camera usually captures this from above, or from the side as the vehicle leaves the road and falls. Griffith actually films from the bottom, and we watch as the car soars away from the road and then drops toward us, the viewer. Little choices like this that make the movie a lot of fun. Eat My Dust is also notable for having three Howards in it: Ron, his brother Clint, and their dad, Rance. I don’t know how many times all three appear in a project together, but it’s nice to get the whole Howard clan in one film. While Ron would soon depart the Corman stable, Clint Howard would eventually appear in at least 20 Corman-produced movies and has a fan base of his own, so this one holds special appeal to his fans. There’s just something about Eat My Dust that makes it watchable, if unmemorable. This is the definition of a potato chip movie, enjoyable and effortless, but quickly forgotten. Again, this is not a knock on the film. It does what it sets out to do, and it does it well. The formula seen here was a winner, and it would pop up a year later in Smokey and the Bandit and on TV sets in The Dukes of Hazzard, which seems particularly influenced by this movie. With the leggy blonde in short shorts, an orange race car, and goofy, harmless authority figures, Eat My Dust feels like Dukes of Hazzard 1.0. For all the vehicular hijinks, there is absolutely no sense of danger in this movie. No one gets hurt, and certainly no one gets killed. The movie allows us to be a part of the rebellious fun and to run from the cops without consequences. That can be a good or a bad thing, depending on your perspective, but I’d be lying if I said that it didn’t resonate with me. I’m not the only one, either. This was one of Corman’s most profitable movies for the entire decade of the seventies. The next year brought Ron Howard’s directorial debut with another car movie, Grand Theft Auto, fulfilling the deal he’d made with Corman. It was the only movie Howard directed for Corman before moving on, but he has been candid about the lessons he learned on the shoot. One of the things I appreciate about Howard is how unpretentious the Oscar-winning director remains. He appears on the special features of the 2011 double feature DVD of Eat My Dust and Grand Theft Auto and talks candidly about the importance of those early pictures. He’s never been shy to look at the films that got him to where he is now, and I find that to be really refreshing. If you haven’t seen it, I recommend the Funny or Die video “Ron Howard Talks Ron Howard,” where he goes over his IMDB page. 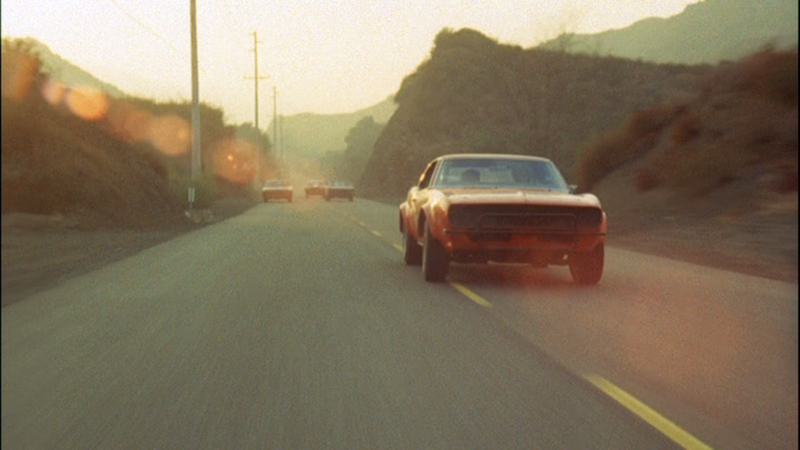 This is the final time I’m going to write about a car movie or a Roger Corman movie during this series, but I’m happy to have put a spotlight on Eat My Dust. It’s fun, but it isn’t particularly special as a movie. The real reason I like Eat My Dust so much is that is reminds me of those opportunities and windows I talked about at the beginning of this piece. I have always found Ron Howard’s career to be inspiring. The relationships he forged and the skills he learned over his career seem to last to this day and he has not forgotten them. From Willow to A Beautiful Mind to Solo: A Star Wars Story, each movie in his resume can be traced Butterfly-Effect-style back to Eat My Dust. 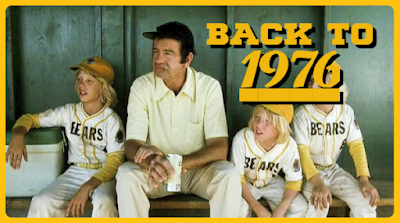 Out of a mediocre piece of fluff from 1976 came an opportunity that paved the way for everything that followed. i've been wanting to watch Grand Theft Auto for a while. now i have to add this one too to the list.